In the past, the practice of dermoscopy was limited to the dermatologist- after all, it is the tool of their trade. The drawback of this framework means that dermatologists are stuck doing the heavy lifting (imaging, administrative work). How can other healthcare providers relieve this pressure? Why not utilize members already available within your practice? Nurses, GPs, or physician assistants are an affordable alternative for performing the necessary imaging and follow up procedures. 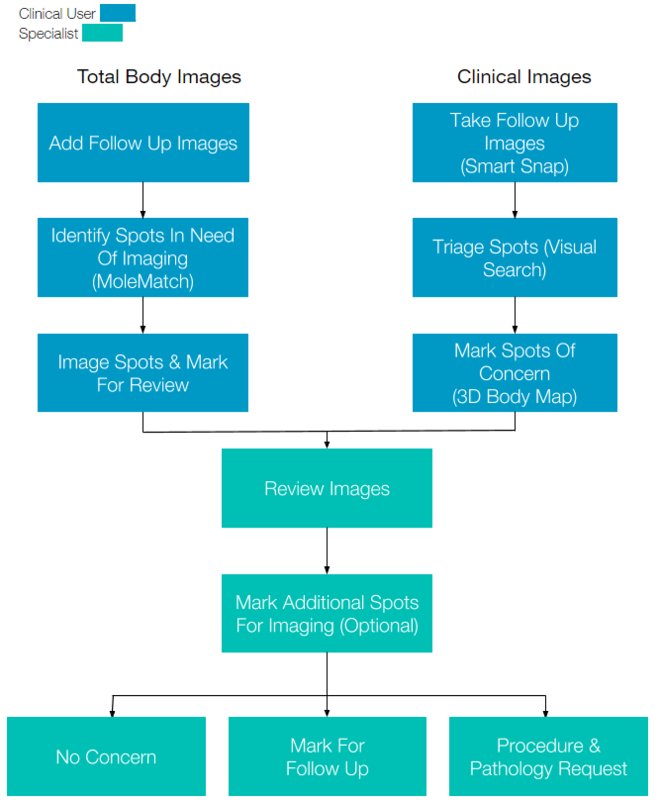 In this scenario, a clinical user can capture all images, triage suspicious spots with the support of artificial intelligence (AI)-based tools and mark spots of concern for further review by a dermatologist. Based on this described workflow, a dermatologist’s time is virtually cut in half, resulting in a far greater portion of their day spent with the patient so they can remain dedicated to analyzing their case and providing a quality, informed diagnosis. A dermoscope doesn’t have to break the bank. Understandably, practices are hesitant to equip GPs, nurses, etc. with expensive equipment that costs upwards of $1000, unless they feel they will utilize the device to its full value. What if it cost a fraction of that price? 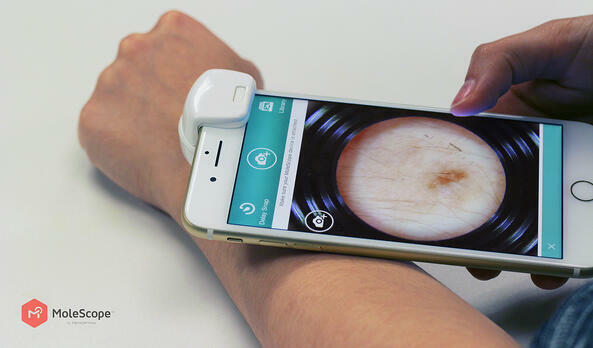 Mobile dermoscopes are designed to capture high quality images straight to your smartphone or a dermatology app. Priced as low as $299, devices such as MoleScope provide an affordable and portable solution without sacrificing the powerful imaging associated with dermoscopy. Capitalizing on efficiency and accessibility, clinical users can equip themselves with the latest imaging tools to assist dermatologists in providing their necessary services. Dermoscopy is a powerful method for the early detection of skin cancer and other conditions, improving diagnostic accuracy by as much as 35%.2 Rather than weighing down dermatologists with every step of the care process, affordable dermoscopes can actually relieve this burden by shifting responsibilities to supporting healthcare providers within the practice. As a result, dermatologists can focus on what they excel at- offering quality, effective services to their patients. Would you like to stay updated on the latest news of MetaOptima and its intelligent dermatology software? Subscribe to our blog! If you're ready to experience the most advanced features available on DermEngine, request your demo today!